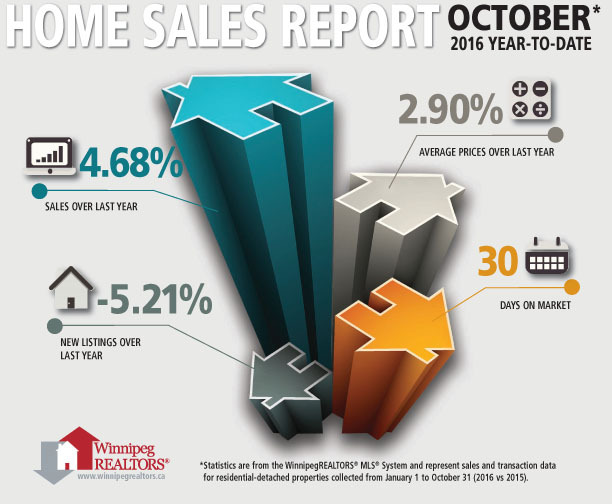 WINNIPEG – Above average sales in October set the stage for a new annual sales record in WinnipegREALTORS® 113th year of serving the Greater Winnipeg Area real estate market. 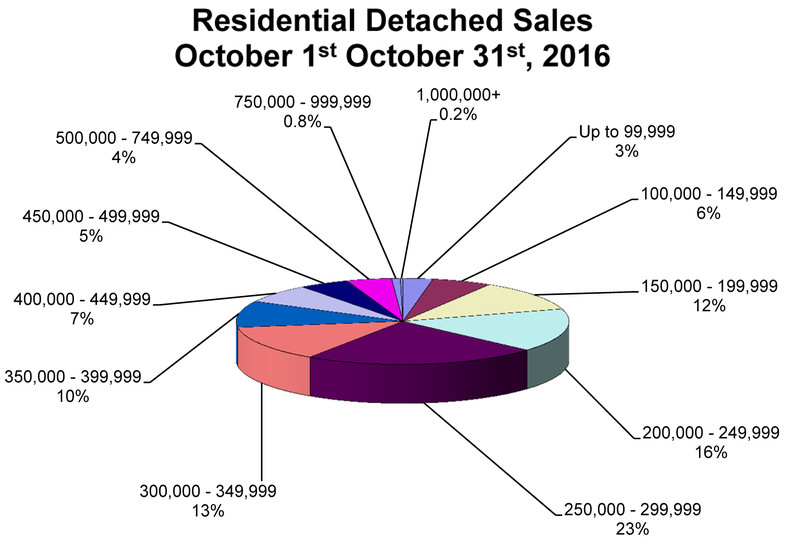 October sales of 1,138 were up 5% over October 2015 and likewise over the 10-year average for this month. October dollar volume of close to $310 million increased 9% over the same month last year. Year-to-date sales of over 12,000 are 7% ahead of the same period last year and are well within reach of eclipsing the annual sales record set in 2007 of 13,079. Year-to-date dollar volume of $3.37 billion is up 9% over 2015 and will easily set a new annual dollar volume record in November. Manitoba MLS® dollar volume just edged over $4 billion in early November. CMHC’s regional economist Lai Sing Louie pointed out earlier this month, at an MHBA housing conference, Manitoba’s elevated population growth has expanded the first-time homebuyer age group of 25 to 34 year olds. While first-time buyers are a key driver of single family home sales, their presence is being felt in how well the more affordable condominiums, single-attached and townhouse property types have performed in 2016. Condominium sales are up 10% over last year and less than 3% off their best year at this juncture in 2014. Single-attached and townhouse properties have risen 9 and 51% respectively over 2015. If you are looking for where the predominant gains in sales activity occurred in the two main property types in 2016, simply put; higher price ranges in single family and the lower ones in condominiums. Sales are higher in all price ranges $250,000 and above in single family homes while condominium price ranges under $250,000 are consistently better. This helps explain why the average sale price for condominiums in 2016 of $234,623 is modestly lower than 2015 (1.5%) while the 2016 average single family or residential-detached sale price of $303,660 is up 3% this year. There is no one national housing market. All markets are local with their own factors shaping their outcome. You need to talk to your REALTOR® to understand exactly what is happening in regard to your own local market situation.